What happens to your Facebook after you die? Friends and family now have a place to leave tributes on memorialized profiles, an update announced on April 9 along with several other changes to memorialized accounts. The new Tributes section is a dedicated place on a deceased user’s profile for sharing posts while keeping the user’s original timeline intact. Facebook suggests the tribute section is a place to write stories, commemorate a special day, or simply share a post when thinking about that person. While Facebook isn’t changing its policy by leaving the legacy contact options off profiles for users under 18, the network will now allow parents to memorialize accounts for children. Even before the memorialization process begins, Facebook said it is using artificial intelligence to keep a deceased user’s account from popping up in potentially painful places, like the suggested invite list for an event and in birthday notifications. The update expands existing tools for memorialized accounts. 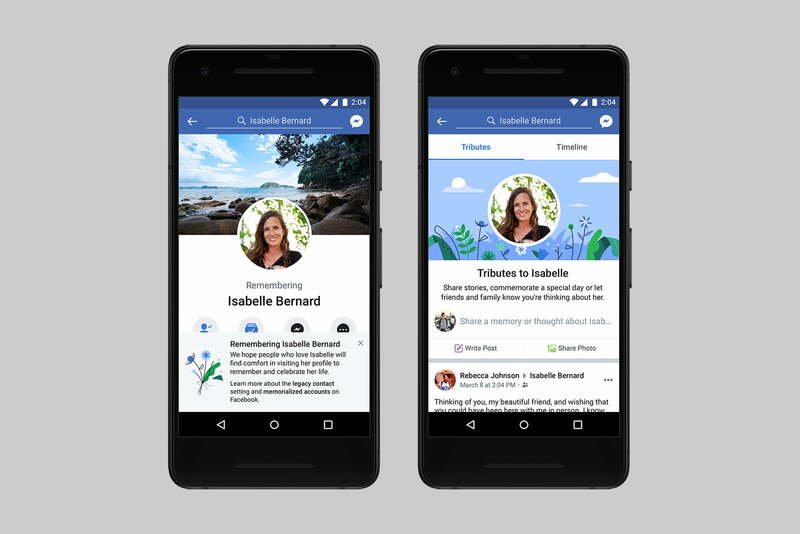 Facebook users have had the option to choose a legacy contact since 2015, a move that added tools to allow the legacy contact to pin a post to the top of the feed and to change the profile picture on the memorialized account. Facebook says it will continue to adjust options for memorialized accounts based on feedback. Check out Digital Trends' quick guide to everything you need to know to save your outstanding PlayStation 4 gameplay moments, share them online, and transfer them to your computer. Deleting messages from Facebook Messenger is almost as easy as scrolling through your News Feed. Here, we show you how to delete an entire conversation or a single message, both of which take seconds. LinkedIn is following in the footsteps of Facebook (three years later!) with the rollout of new reactions that give users more ways to express themselves when responding to posts in their feed. Twttr, the new app that lets regular Twitter users test new features, is proving more popular than the main app, according to the company. The revelation suggests some of the innovations may land for all Twitter users soon. Longing for the old days where Facebook and Messenger were one app? Facebook is testing an integrated chat option. While Messenger remains more feature-rich, the test brings some chat functionality back into the Facebook app. Curious about how to save someone's Instagram Story to your phone? Lucky for you, it can be done -- but it does take a few extra steps. Here's what you need to know to save Instagram Stories on both iOS and Android.